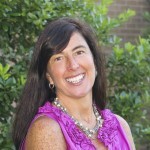 Lisa Daniel has a Bachelors of Science in Education from Georgia Southern University. Mrs. Daniel is certified in the Orton Gillingham method of reading instruction. She has 22 years of teaching experience at St. Peter the Apostle Catholic School. Mrs. Daniel is married to Mr. Ross Daniel and they are the proud parents of 10th Grade twins, Sid and Liz. Mrs. Daniel enjoys reading, music, and outdoor activities.